PROVIDING ACCESS, PROTECTING ENVIRONMENTS AND DELIVERING QUALITY. Our high quality terrain access systems for land, over the shore and air operations are the Trackway® solution of choice by militaries worldwide. Tried and tested in multi-climate environments, our multi-purpose military graded aluminium panels are renowned for keeping your mission on track. The division has operated with previous military engineering and manufacture projects include bridging, boats, aerial masts, fuel tankers and recompression chambers. 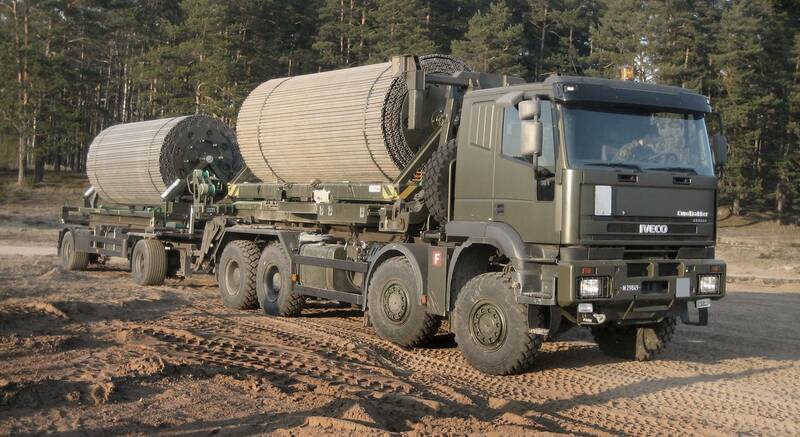 Our portable, modular roadway systems can deploy 50m of Trackway® in less than 10 minutes enabling roadways to be constructed in areas where the ground conditions are poor. The ideal bridging partner - Highly durable, versatile, and proven capability. The portable technology enables runways and helipads to be constructed in hostile areas or environments. Providing a stable and safe location for take-off, landing, and service anywhere. Easily deployed with a dispenser or simply rolled out, our Trackway® is quickly assembled and is highly resilient to long periods of water immersion. The Trackway® does not float, suiting both still and flowing waterways. 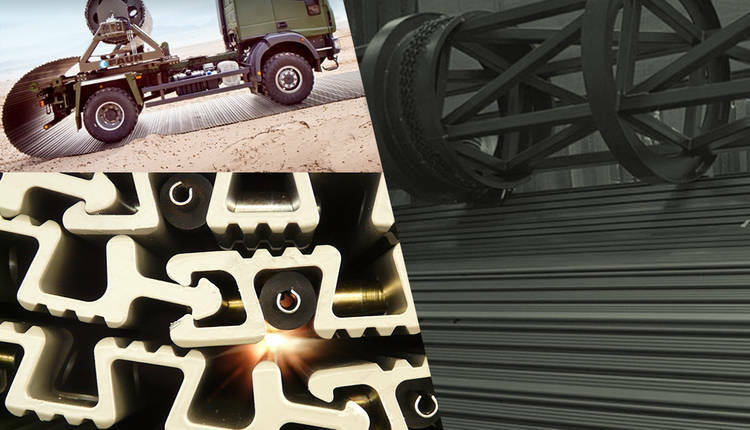 TAKING CENTRE STAGE AT IDEX AND AERO INDIA Last month the UK Trackway® team commenced their world tour exhibiting at the only Defence exhibition and conference in the MENA region, IDEX. There was much interest in our multi-purpose panels which took central focus, drawing delegates and visitors to the stand. ​We are delighted to confirm our expansion into the nuclear sector, after securing Fit For Nuclear (F4N) status. 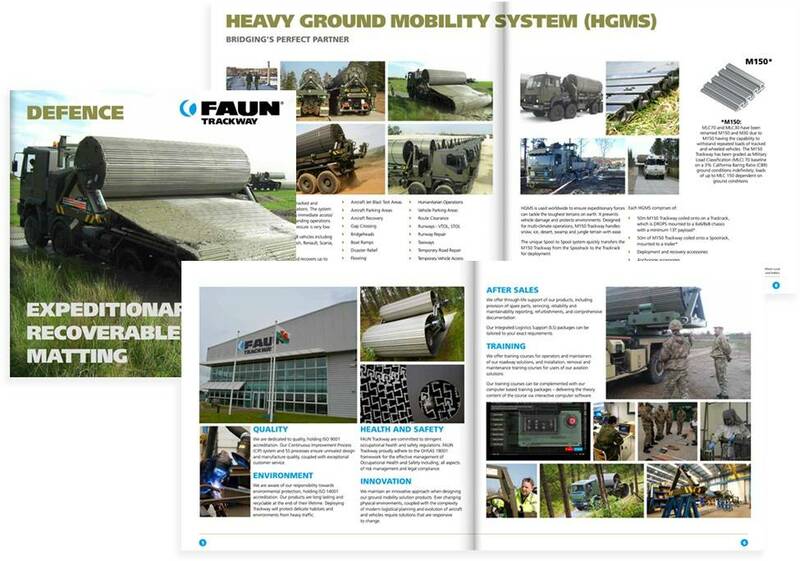 September has been a busy month for FAUN Trackway® as we exhibit our product capabilities across the globe visiting; Land Forces in Adelaide, Australia, MSPO in Kielce, Poland, followed by DVD at Millbrook Proving Ground in the UK. For further information contact one of our agents or consultants local to your area.